With our right dedication to providing an authentic cuisine, the Watergardens Hotel serves up some of the best pasta in town. 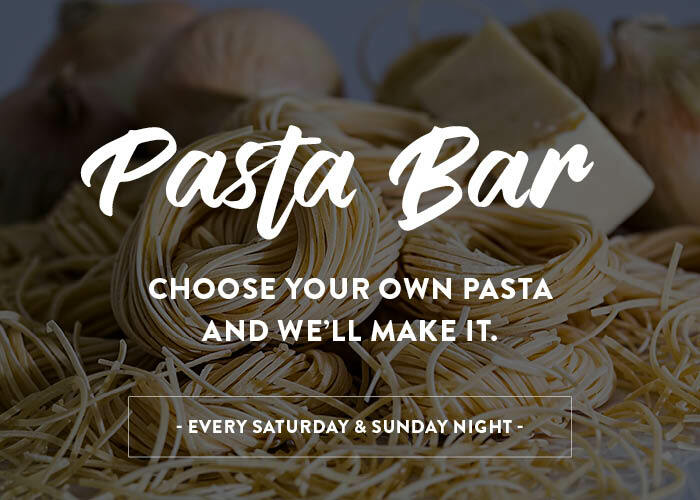 Every Saturday and Sunday night, enjoy creating your own choice of pasta as you move from selecting the type of pasta to the sauce and toppings used. Watch our Chefs work their culinary talents with your choice of ingredients before he serves you your very own make of pasta, fresh off the pans. Watch Chef toss it on the pans. Catering for all preferences of style and flavour, it’s the perfect dining destination for families and groups of friends. Bookings are encouraged to avoid missing out.